Commander is a classic Nordhavn 40 Mark II flybridge model in very good condition. She is owned by a very experienced yachtsman who has properly maintained and upgraded her during his ownership. She offers a two stateroom layout, raised pilothouse/flybridge design with the Nordhavn quality construction you would expect. Thorough records are available for Commander within the Wheelhouse Technologies full planned maintenance system implemented onboard. Price reduced! 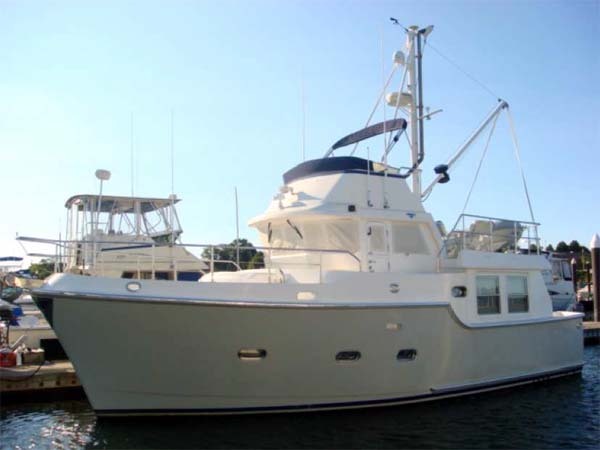 Contact Curtis via curtis@curtisstokes.net or call 954-684-0218 for more information and an appointment to view this trawler for sale.